A unique and interactive Columbus and Franklin County Metro Park is planned for a west Columbus quarry after a decade of envisioning the location as a regional park destination. 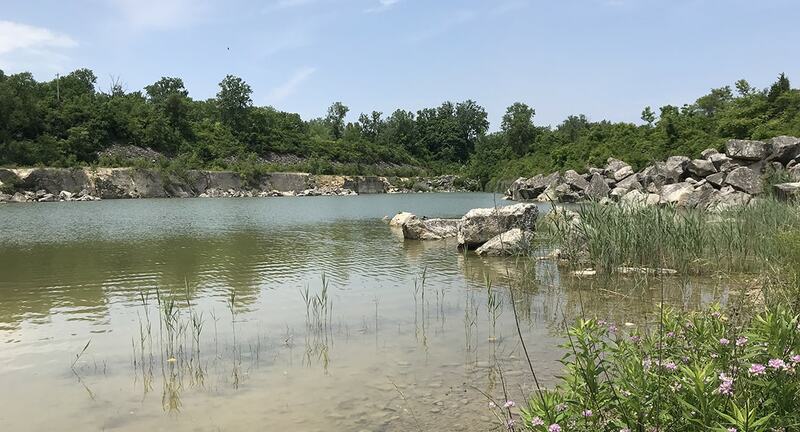 The Quarry Trails Metro Park project is slated to turn the 600+ acre limestone quarry into the home of the twentieth Metro Park in Central Ohio. Portions of the land are being redeveloped into mixed-use residential, retail, and commercial spaces by a private developer. The park will coexist with the mixed-use development, capitalizing on the existing environment that includes rock features, rugged terrains, and natural water elements, with activities such as hiking, kayaking, biking, rock climbing, and more. Through a contract with Metro Parks, B&N is providing stormwater and environmental services for the first phase of the park development, which covers 62 acres. The bulk of B&N’s design work is centered around developing the natural water features to meet the site stormwater permitting requirements for the site development, and create a kayak channel between the two existing quarry ponds. Expected to be one of the main attractions for the park, the kayak run will utilize the existing ponds with a new interconnecting channel intended to create a unique kayaking experience to the area. Working closely with a whitewater kayaking consultant hired by Metro Parks, B&N’s design will include the new channel that will run between the two existing ponds and ultimately serve as the stream for the kayak run. To successfully create the whitewater effect, additional water sources will be directed to the ponds to provide sufficient water flow. One new source of water will come from the adjacent Roberts Millikin Ditch, which will have a significant portion of the flow directed into the upper pond and will feature a 20 foot waterfall as part of the new channel. Additionally, stormwater runoff from the mixed-used development and another planned residential development will be directed into the ponds as another water source. In part due to the site’s historical use as a landfill, as well as the intended reuse of storm and runoff water, B&N will provide environmental remediation services to Metro Parks to ensure acceptable water quality is established and that the visiting public is protected against historical environmental impacts. The B&N environmental team will review soil and groundwater data from the developer and provide environmental oversight of remedial options. The design is expected to be complete in February 2019, with construction to begin in Spring of 2019.